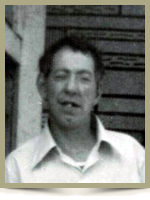 Quinn, George William Thomas “Sonny”, 82, of Liverpool, Queens County, passed away on Wednesday, May 8th, 2013, at home after a lengthy illness. Born in Liverpool, he was a son of the late Thomas and Janet (Rogers) Quinn. Sonny was happiest when talking and spending time with his family and many friends. He enjoyed cutting and splitting wood in his younger years. He is survived by his loving wife of 35 years, the former Judy Armstrong, brother Robert (Lorraine), of Liverpool and first cousin Mike (Tina) Quinn, of Liverpool. He was predeceased by an aunt, Marion. Judy, I am so very sorry for your loss. Sonny was your soul mate and I know that you will miss him very much. Remember all of the good times that you have had over the years, You are in my thoughts at this time. Take care. So sorry for your loss, thinking of you during this hard time. Dear Judy, So sad to hear about Sonny’s passing. Sonny was a long time family friend and I have known him since I was a child. You have taken such wonderful care of him over the years – he was so lucky to have you! Remember the many good times that the 2 of you shared together. I know that you will miss him so much. My thoughts are with you at this sad time. Dear Judy, so sorry to hear of your loss. So sorry to hear about Sonny. He was your soul mate and you loved each other greatly. If it wasn’t for your care and love Sonny would not have been with us as long as he was. He had the best NURSE there is. We were so sorry to hear of Sonny’s passing.Our condolences to all the family. Sorry to hear about Sonny. He was a great man. You took really good care of him. He will be missed by many people. My thoughts and prayers are with you. So very sorry for your loss! I know you will miss him terribly. Take comfort in knowing he is not suffering anymore. Cherish the many wonderful memories of your time together. My thoughts and prayers are with you. Judy, I am so sorry to hear of Sonny’s passing. I’ve known you both for several years and I always enjoyed our visits. You took such good care of him, and I know you will miss him so very much. Take comfort in knowing he is free now of all the discomfort he felt here on earth, and he will be watching over you until it is time for you to be reunited. I am sorry for your loss. Sonny was your life, you took such amazing care of him over the years. Have peace in knowing he is out of pain. Cherish all the memories and pictures you have. take care Judy. I am so sorry for your loss. You took such good care of him, and he loved you very much. Remember to great times that you and Sonny had together. My thoughts and prayers are with you at this difficult time. Judy: I am sorry for your loss. In the past I would see you both usually in the post office and always got a pleasant greeting. Sorry to hear about Sonny passing away.Knew Sonny when i lived on Brunswick St .He always’s stopped to chat with mom when walked down the street..Our thoughts and prayers are with you and Sonny”s family. Sorry to hear of Sonny’s passing. He will be missed by many. We will be thinking of his family in the coming days. Thinking of you at this difficult time….We remember Sonny’s smile on Music night some years ago when we would gather to sing. Love and prayers to you and the family. We are sorry to hear of your loss.Our thoughts are with you at this sad time. I am thinking of you during this difficult time. Just remember that you gave him the best care and Sonny knew how much you loved him. Until you are both together again just remember he is your very own special Angel . We will all miss him very much. Quinn family: We were sorry for your loss. Our thoughts and prayers are with your family. So sorry to hear about Sonny’s passing. Sorry to hear about Sonny.Be proud of the great care you gave him.Most people could not have done what you did,he would have been in a nursing home.Because of your love and care,Sonny was with you much longer.You are an angel. Judy, I am so sorry to hear that Sonny passed away. You were a good wife to him. My thoughts and prayers are with you Judy! I am sorry to here of Sonny’s passing,but would like you to know my thoughts and prayers are with you at this time..
Judy and family, we are both saddened to lose a friend. Sonny’s nickname was just so appropriate. He was always smiling, always friendly, always displaying a sunny disposition. Everyone who knew him will remember him with fondness. Please accept my condolences on your loss. My thoughts and prayers are with you. Dear Judy, I am so sad to hear about Sonny’s passing. Sonny was a long time family friend and I have known him since I was a child. Sonny lived just above us when we were growing up. You took excellent care of him over the years. He was so blessed to have you! Always remember the great times that you shared together. I know that you will miss him so much. My thoughts are with you at this sad time.